Although WordPress simplifies the task, blogging remains a formidable endeavor for even the most talented among us. Fortunately, because so many are in the same boat, a number of supplemental tools have been developed to help in alleviating the complexities of blogging. We’ve decided to compile a list of five such tools we think to be particularly helpful in growing your blogging potential. It’s a daily struggle among bloggers and webmasters when, on perusing content similar to your own, you notice a feature or theme on your competitor’s website that you so wish you could add to your own. Calling up your competitor and asking for their secrets isn’t always the best idea, but in using Wp-detector one can find this information entirely on their own. As the name would seem to imply, Wp-Detector is a tool for identifying whether a given website or blog is run on WordPress. Should a website be identified as such, the tool goes further. It also detects the theme and plugins of that website, allowing you to systematically extract the best ideas of your competitors and apply them most effectively yourself. For further competitor research, you may also view the mobile-friendliness and responsiveness of a given site, and the resulting data may be viewed online or exported for later use as a CSV file. Those particularly interested in the competitor analysis aspect of the tool may upgrade for $5/month to the pro version, allowing for the detection of up to ten websites at once. In many ways, Lifelock is to personal security what Sucuri is to website security. Rather than monitoring your identity, Sucuri offers continual monitoring for website owners, providing you with alerts almost immediately in the event of a cyber-attack or website hack. Such website monitoring, however, is only one of Sucuri’s features, supplementing the company’s whole host of other services preventing malware and attacks at the source and stopping them should your website be attacked. In the event of your website being blacklisted by Google or others in the aftermath of a hack, Sucuri will also assist in the process of having your website removed from these as quickly as possible. The price is, admittedly, somewhat high, with the service’s basic package costing a whopping $200 per year and the more advanced packages running users as much as $500 a year. Nonetheless, we think the added security which comes in taking pre-emptive steps to protect your website may more than outweigh the associated costs. Finding freely available images for use on blog posts and web pages was once a challenging task, prompting many more novice bloggers to simply cut down on the number of images made use of in their posts. Photopin.com seeks to address this by offering a searchable database comprised exclusively of Creative Commons (that is, free-to-use) photos. Photopin goes to some of the greatest lengths in simplifying the process of finding images still more by including the copyable HTML attribution, to be included at the bottom of your blog post, immediately upon clicking an image. 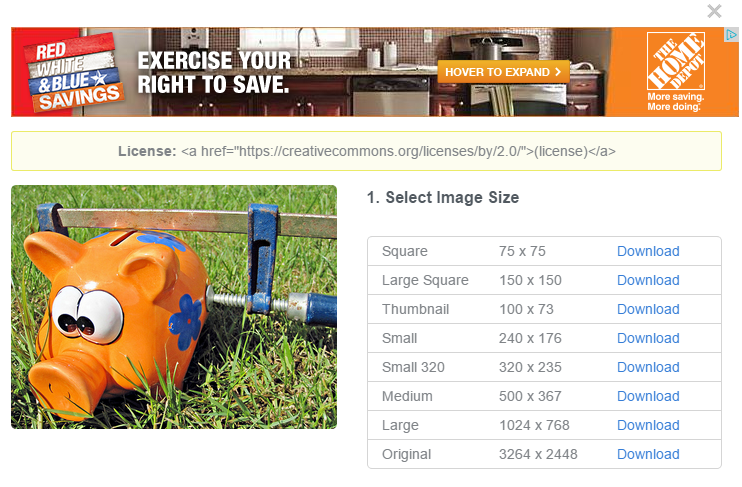 As a further time saver, users may select their preferred image size before downloading, allowing users to drop their image right into their post(s) without first having to scale larger photos. No matter the general theme with which your blog is concerned, selecting a buzzworthy topic to write on is invariably a difficult task. Many bloggers — despite amassing large amounts of traffic – find their content to be pinned, tweeted and stumbled upon far less often than they initially had hoped. Enter Buzzsumo (yes, you read that correctly), a search engine of sorts ranking articles not by their crawlability but rather by their shareability. Put in simpler terms, Buzzsumo organizes articles relevant to your query by their popularity across social media platforms – as opposed to their search engine optimization. Buzzsumo additionally allows users to perform these searches within a given website, providing you the ability to view the social media prowess of others in your industry and actively learn from the activity of your competitors — not to mention from your own past successes. By upgrading to a Pro account, you can also receive alerts as new trending content arises in those areas of the blogosphere most relevant to your business. Canva is an elegantly designed tool for, well, making elegant designs. It offers webmasters and bloggers alike an intuitive, drag-and-drop interface with which to create website graphics and manipulate images. The objective of the project, according to its developers, is to enable anyone to make high-quality graphics. In addition to its premium database of more than one million themes and images (the majority of which may be used for a dollar or less), Canva offers an array of image enhancement tools and filters to help in improving the aesthetic of your images. Once you’re satisfied with your design, you may purchase your design the price of which varies by the number of premium items used, and download it as either an image or a PDF. If you’re on a budget, you may draw your images from photopin.com (described above) and so make use of Canva’s service at no cost to you. Know of another great WordPress tool? Let us know in he comments.